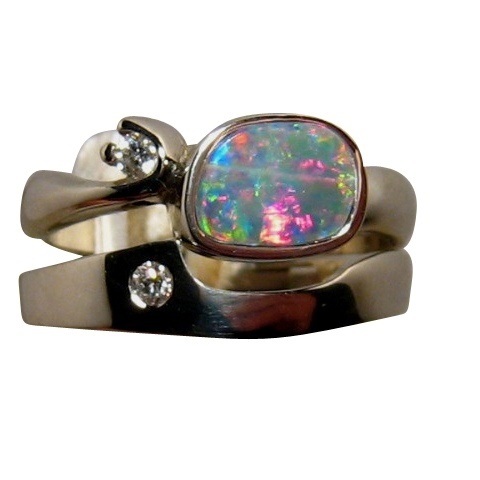 Exceptional Matching Opal Engagement Ring and Wedding Band in 14k Gold Ring with Diamonds. 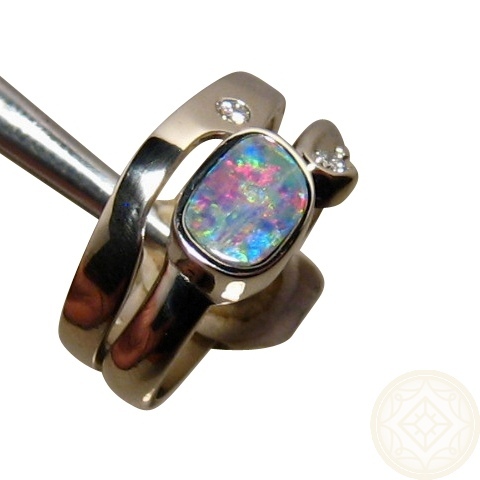 14k Gold Ring set with the Engagement Ring set with one Red and Blue Lightning Ridge Opal and accented with One Diamond. 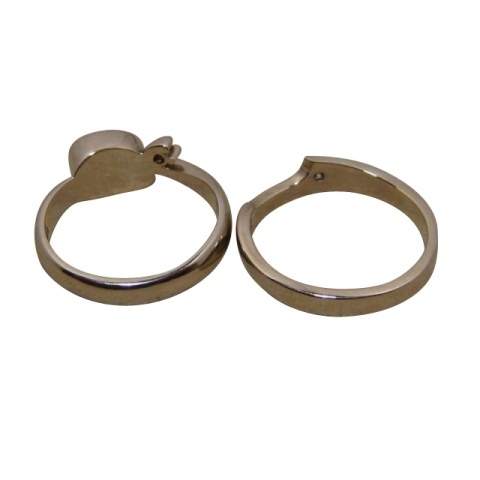 An interlocking Wedding Band also has an accent Diamond. 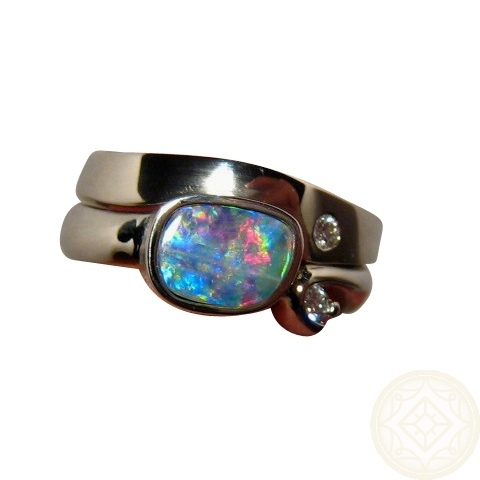 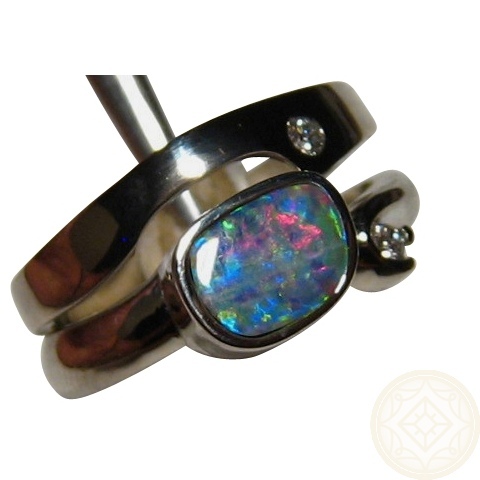 Read Important Information on How to Care for Opal Rings before purchasing.